I love Hilton Head Island, and if you are planning a wedding and looking for a wedding photographer to capture your special day in Hilton Head Island, South Carolina, then great you have found one of the busiest wedding photographer in Hilton head South Carolina. From the golf club at Sea Pines Resort, that include at Harbour Town Golf Links, the 18th Lawn of Harbour Town Golf links, The Liberty Oak, to Oldfield Plantation Club, to Colleton River Plantation Club, to Sonesta Resort, and Rose Hill Mansion plantation, to the beaches of Palmetto Dunes resort, and the Omni, to The Westin Resort and Spa, and Palmetto Bluff, and Haig Point in Daufuskie Island, I have pretty much have been honored to capture all of these amazing weddings at these beautiful beaches, venues, resorts, island and plantation for all of mine very special wedding clients...As in this image as a Hilton Head Island wedding photographer, my clients had just been married and the sunset was setting at Palmetto Bluff. I managed to create this dramatic portrait of my couple. 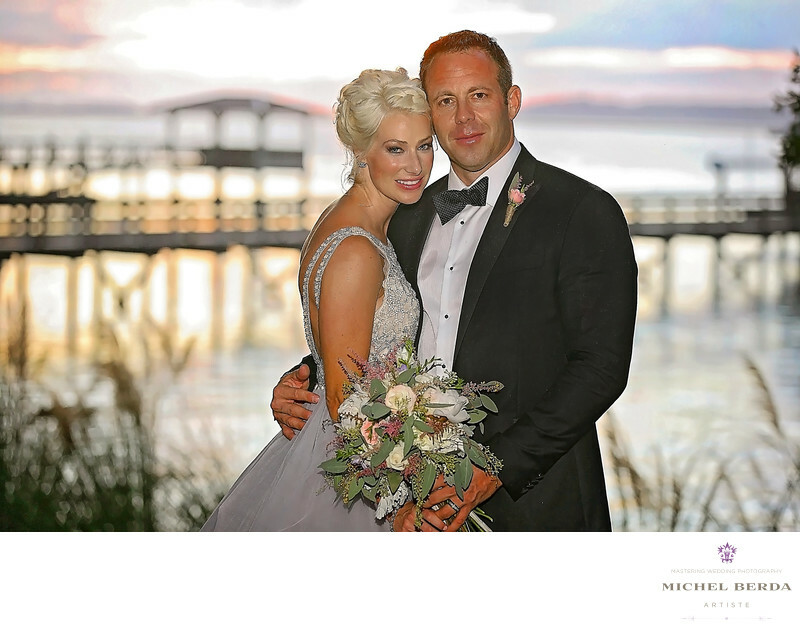 Most of the time you really want to incorporate the scenery by including the dock in this image to give a wedding image the perfect feel of the lowcountry in Hilton Head island . Keywords: 18th Lawn of Harbour Town Golf link (3), Colleton River Plantation Club (3), Haig Point in Daufuskie Island (3), Harbour Town Golf Links (3), HILTON HEAD ISLAND WEDDING PHOTOGRAPHER (18), Oldfield Plantation Club (6), palmetto bluff (6), Palmetto Dunes resort (3), Rose Hill Mansion plantation (3), Sea Pines Resort (3), Sonesta Resort (3), The Liberty Oak (3), the Omni (3), The Westin Resort And Spa (3).